Channels club is one of the top clubs in Bratislava where you can get fun 365 days a year! This club is open 7 days a week until the early morning. Great location, good music, live Djs and wide offer of drinks to choose from. 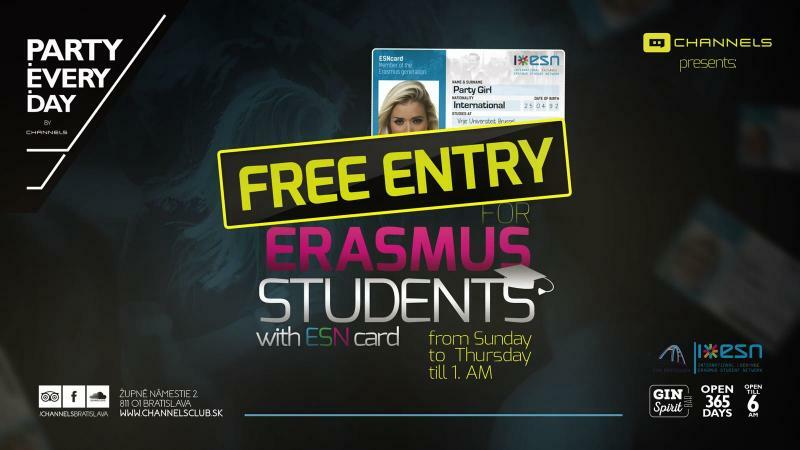 Thanks to our partnership you can have a free entrance 5 days a week (from Sunday till Thursday) with ESNcard until 1:00 am! So do not hesitate and go have some fun.